You have a swimming dog – such as a Lab… he swims A LOT. But all the swimming means some water gets into his ears. He develops a full blown ear infection. Shaking his head, scratching at his ear and yelping if touched – in short… one very unhappy dog. Well there are the Conventional Options – and in many instances these work well. But what about the recurring Ear Infections? 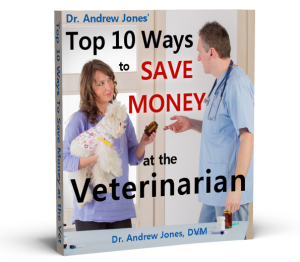 Do you really want to keep going back to your Veterinarian? I suggest that you get to the underlying cause – and look at ALL of your options. I have just released my NEWEST Video on SOLVING Ear Infections – especially the CHRONIC ones. 1. Pull the earflap straight up and hold it with one hand. 2. Place a small amount of medication into the vertical part of the ear canal while continuing to keep the earflap elevated. 3. Put one finger in front of and at the base of the earflap, and put your thumb behind and at the base. 4. Massage the ear canal between your finger and thumb. A squishing sound tells you that the medication has gone into the ear canal. 5. Clean the outer part of the ear canal and the inside of the earflap with a cotton ball soaked in some of the medication.